You are currently browsing the tag archive for the ‘Needle Juniper’ tag. This is a tree I styled on during my second stay at Taisho-en, Shizuoka, Japan. 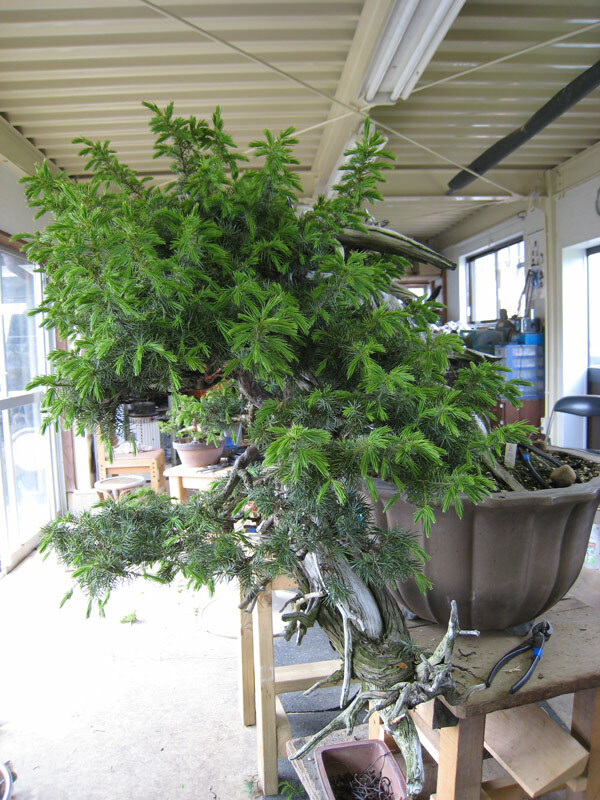 It is a Tosho (Needle Juniper) that was most likely collected. I had seen it during my previous stay and had helped graft shimpaku foliage onto the live vein via the process of approach grafting. Subsequently, for what ever reason the shimpaku whip died and the tree grew out to a shaggy silhouette. Mr. Urushibata had decided that instead of trying to graft the foliage a second time that he would instead have me re-style it utilizing the original foliage. As tree had grown out so much it had to be pruned quite severely but enough remained to establish a good structure upon which future ramification could be built. Tosho are an interesting species to work with. 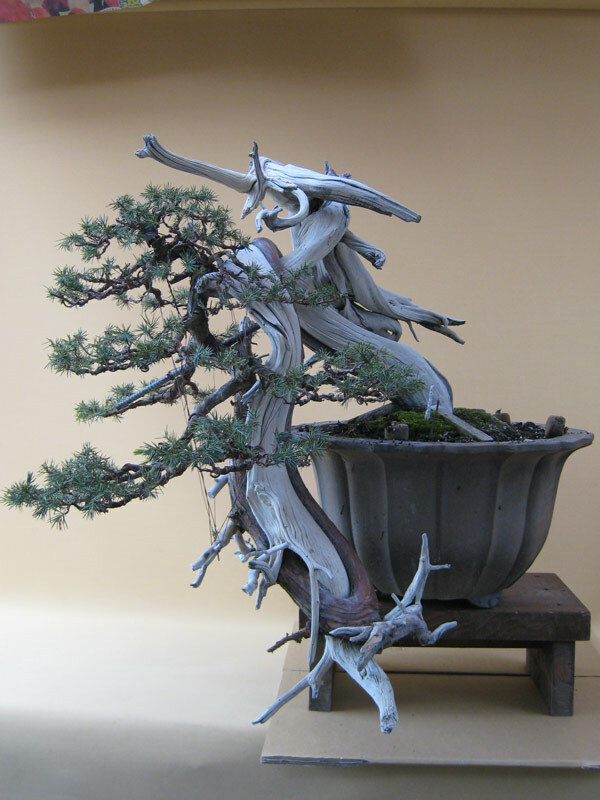 They display an ancient image (especially if you are lucky enough to have material such as this) and the contrasts between deadwood, live vein and the blueish hue of the foliage make them quite unique. They are not the easiest species to style as they can be quite uncomfortable to work with. As their name suggests, their foliage is needle sharp and pierces your skin with almost every touch. This negative is countered by so many of the good features of this species. Even the dry heart wood rewards those who endure the sting with a magical sweet scent. Personally I do like the fact that the tree leaves a mark on you. Days later while my hands were stinging while washing up under a cold tap I would find my mind drifting back to the tree that left the marks. Sometimes things are worth a bit of a struggle. I hope that this tree is at the nursery when i next find the time to get back there as i would love to see how it is progressing and possible have a opportunity to feel its sting again.